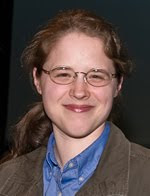 I first heard of C.J. Darlington a few weeks ago when she asked for bloggers who were willing to post her book trailer on their blogs. I viewed the trailer, liked what I saw, and posted it here on Write About Now. Next came the opportunity to be a part of her blog tour. I had never participated in a blog tour prior to this but, since I liked her trailer, I agreed to be a part of her promotion. I am not sorry that I made this decision. Bound by Guilt is an outstanding book. It is the story of Roxi, a young girl who has never known the love that most of us take for granted. She was deserted and rejected by her mother and bounced around from foster home to foster home, always seeking a love that continued to elude her. In a misguided effort to earn that love, she is taken in by a relative and made to be an accomplice in a monetarily profitable rare book stealing trio. When theft turns to something far more serious, Roxi flees. She is taken in by a husband and wife who own a ranch and it is there that she finally learns the true meaning of love - unconditional love that loves no matter what the circumstances may be. She learns too about Christ's love, a love that is granted not, as the saying goes, because of who we are, but in spite of who we are. The Biblical principles of love and forgiveness are prevalent throughout the pages of this book. From its beautiful cover to the final page, this book will draw you in and keep you captivated. 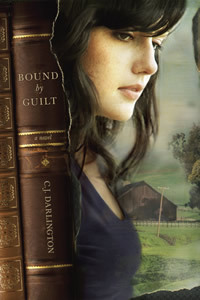 I highly recommend Bound by Guilt and I will definitely be watching for future books from C.J. Darlington.